Foreign Ambassadors to Vietnam, including the G4 ambassadors, Danish Ambassador to Vietnam and U.S. 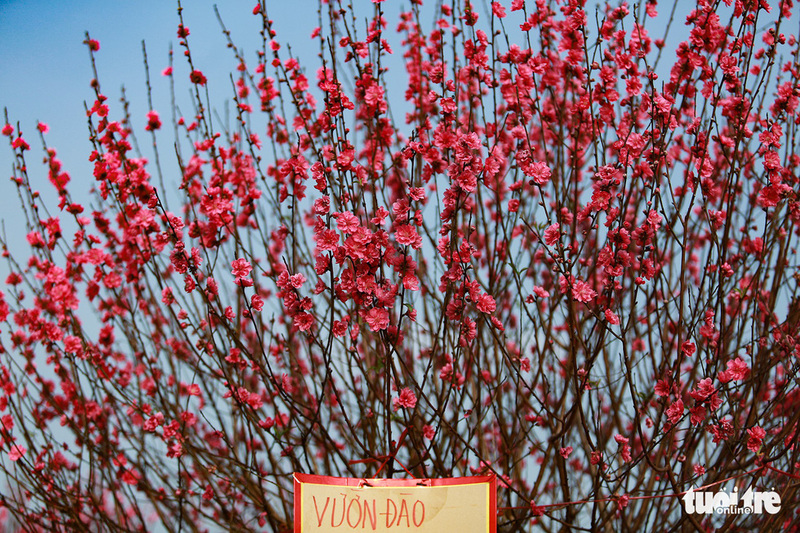 Ambassador to Vietnam have expressed their wishes for Vietnam and its people on the occasion of Tet (Lunar New Year). In a video which has attracted 25,000 views after four days being posted on the Facebook page of the New Zealand Embassy – Hanoi, the G4 ambassadors take turns to deliver their message to Vietnam on the threshold of the country’s biggest traditional festival. The 2-minute-30-second clip captured the visit of the ambassadors to Nguyen Dinh Chieu Elementary and Middle School in Hanoi, where they talked with blind students and enjoyed Tet preparations, including making banh chung, a Tet traditional dish made from sticky rice, pork and mung beans. Excited by her first Tet celebration ever, Canadian Ambassador to Vietnam Deborah Paul called it “a time when families and friends come together to celebrate." “It’s a celebration that includes everyone, regardless of age, gender, ability, where you come from, your social background or your economic background,” she added. “So, I think it’s a great celebration of inclusion, and inclusion and respect for diversity are things that Canada promotes as a very proven pathway to peace, prosperity and protection of individual rights,” the ambassador said. New Zealand Ambassador to Vietnam Wendy Matthews expressed her hope for building inclusive societies where everyone is respected and valued. She also quoted a Vietnamese saying, ‘Tương thân tương ái,’ and the phrase “Kotahitanga” in Maori, the indigenous language of New Zealand, with a similar meaning of “oneness” and “unity." “We all know that together we are stronger," she insisted. “This is particularly important for children, they are the future of our society,” she said. “Here at this school, it is wonderful to see that all children are included,” she said, addressing the students at the school for visually-impaired children. In her speech, Swiss Ambassador to Vietnam Beatrice Maser Mallor emphasized the importance of diversity. “I wish everybody, and in particular all the children in Vietnam, a happy Tet, and a prosperous Year of the Pig,” she said. Meanwhile, Danish Ambassador to Vietnam Kim Hojlund Christensen wished people across the nation a new year of good health and prosperity in Vietnamese, according to the Vietnam News Agency. The ambassador also said he would do his utmost to deepen and diversify the multifaceted collaboration between the two countries in the coming time, after emphasizing highlights in bilateral relations in 2018, with various high-level visits and strong cooperation in many fields. In a video posted on the verified Facebook page of the U.S. Embassy in Hanoi on Tuesday, U.S. Ambassador to Vietnam Daniel J. Kritenbrink expressed his feelings ahead of his second Tet in Vietnam while visiting a flower farm on the bank of the Red River. “I have learned that Tet is very special to the Vietnamese people,” he said. “In fact, it’s like combining New Year, Christmas, and Thanksgiving all together to Americans." 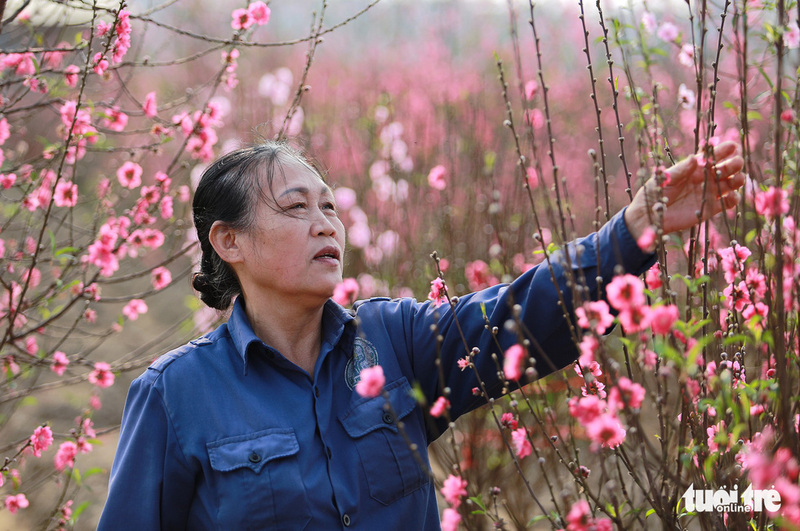 As he wanted to decorate his house with a beautiful peach branch for this Tet, the ambassador visited the farm and ended up learning about the year-long process of growing a peach tree, from grafting to forming a particular shape, and making sure that they blossom right at Tet. “I wish you all a wonderful and happy new year. Chúc mừng năm mới!” he concluded.